The representation in the middle gives an indication of the place. We find this element in the coat of arms of Seitenstetten. 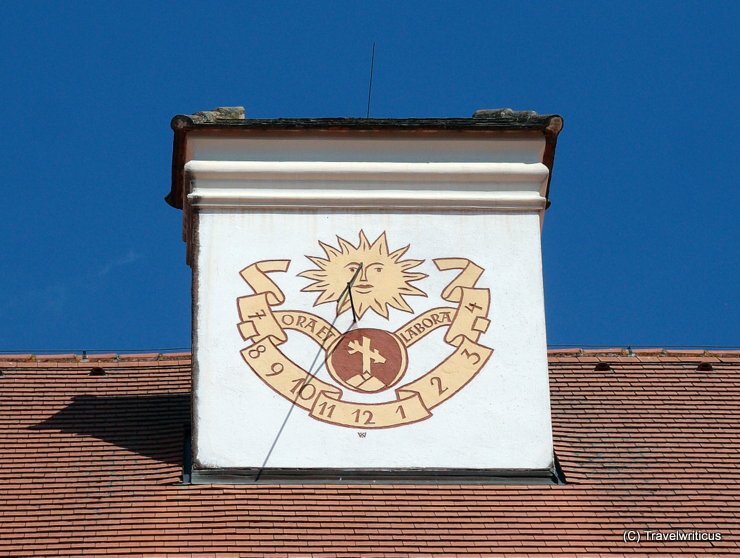 This entry was posted in Abbeys, Sundials and tagged Austria, Lower Austria, Mostviertel, Seitenstetten by Travelwriticus. Bookmark the permalink.